1) The company of visiting friend and family around the dining table. 2) That moment on a rainy day when the sky suddenly clears, bright sunshine emerges and the solar thermal pumps click on generating free hot water. 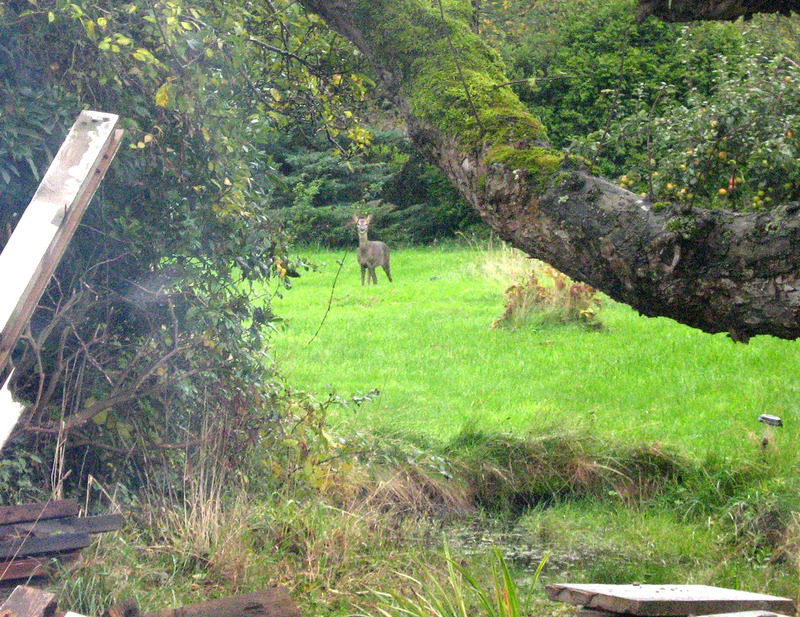 3) Eating lunch, seeing movement in the garden, discovering that it’s one of the local deer paying you a visit. This entry was posted in Good Life, Wildlife and tagged deer, family, friends, moving, Paul Rainger, Smallholding, snagging, solar, solar thermal, The Good Life, The Secret Acre, wildlife by paulrainger. Bookmark the permalink. The absolute best way to live a fully human life. Enjoy every moment of it!! !